A Game of Khat and Mouse…. Human beings take psychoactive drugs for innumerable reasons. Among the most common of these are attempts to improve ourselves. Stronger, braver, more alert and energetic- these are things that we have always wanted to be, no matter if it was thousands of years ago when our ancestors were out hunting wild animals, or today when we want to have more energy for multitasking in our ever more competitive society. Ancient peoples were actually very successful in discovering plants that could help them achieve the aim of energizing themselves. Drinks like tea, coffee and chocolate contain methylxanthine drugs like caffeine and have the ability to keep us alert and productive. These drinks have mildly energizing properties. However, there are also natural products that produce much more powerful psychostimulating effects. Consider the ancient peoples who lived in and around Peru. One of the things that the Spanish observed when they conquered this part of the world was that the indigenous people were hardly ever without the leaves of a wonderful tree. They would place a quid of leaves in their cheek which they chewed whenever they were working. The Spanish reported that chewing the leaves produced a consistently energizing effect, a reduction in appetite and could completely numb the pain of toothaches and minor abrasions in the mouth or elsewhere. 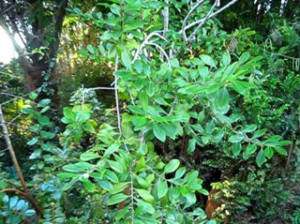 The source of the leaves was a shrub named Erythroxylon coca (Coca) (Fig. 1). The substance responsible for the effects of the leaves wasn’t isolated until the mid 19th century when the science of organic chemistry had advanced to the point when many natural products were being isolated for the first time. German chemists identified the substance and named the new drug cocaine. However, it wasn’t only in Peru that drugs with powerfully energizing effects were discovered. Medicine in China has very ancient roots. The first books about Chinese pharmacology date from around 200AD but are based on much more ancient traditions going back the mythical emperor Shen-Nung some five thousand years ago. 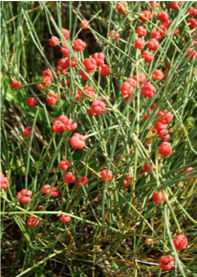 One plant product that was used by the Chinese for many purposes, particularly as a circulatory stimulant or for complaints involving breathing difficulties, was named Ma-huang or Ephedra Sinica according to its Western classification (Fig 2). The plant was not known much outside of the Far East, except as an example of traditional Chinese medicine, until after the Meiji restoration in Japan in 1868 when the country opened itself up to foreign influences and Japanese scholars began to travel to Europe and the United States for advanced scientific training. One of these scientists, named Nagayoshi Nagai, studied primarily in Berlin and then returned to Japan where he turned his attention to attempting to isolate the active principle from Ma-huang. He was successful and in 1885 isolated the molecule ephedrine (Fig 3). In 1886 chemists working at the E. Merck company in Germany also isolated ephedrine. There was little interest in the new substance at the time. However, some 30 years later two other Japanese scientists re-isolated ephedrine and ran some animal tests with it that produced very interesting results. They observed that the drug mimicked the effects of activating the sympathetic nervous system, effects it shared with the hormone adrenaline/epinephrine, which had been previously isolated from the adrenal gland. Indeed, the chemical structures of the two molecules proved to be very similar (Fig 3). In the 1920s further investigations demonstrated that ephedrine produced an immediate rise of blood pressure accompanied by an acceleration of the heart and constriction of the peripheral arteries. Other marked effects included inhibition of intestinal peristalsis, relaxation of bronchial smooth muscle and dilation of the pupils. Hence, like epinephrine, ephedrine could be described as a “sympathomimetic” drug. Because ephedrine produced relaxation of the bronchial smooth muscles in the lung it had powerful anti-asthmatic effects. These results were now published in the Western scientific literature and scientists throughout the world started to take notice of them. 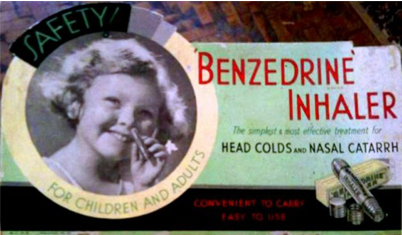 In the 1920s ephedrine became widely used as an effective treatment for asthma and continued to be used until better drugs were invented in the 1950s and 60s. Epinephrine was also sometimes used for these purposes, although its rapid metabolism made it less useful than ephedrine. However, one interesting thing that differentiated the effects of ephedrine and epinephrine was that the former substance could also produce strong psychostimulant effects. Patients taking ephedrine often reported feeling energetic and restless. At higher doses they could also suffer from insomnia, anxiety and feelings of paranoia. Moreover, consistent use of ephedrine produced a state of addiction and dependency. The reason for these differences is that the chemical structure of ephedrine makes it easier for it to enter the brain, whereas epinephrine cannot do this and so its effects are restricted to the sympathetic nervous system. the Allies and Axis powers dispensed amphetamine and methamphetamine to their troops to keep them alert during battle. A current theory has suggested that Hitler’s Blitzkreig tactics were substantially enabled by the use Pervitin (methamphetamine). cheek and chewed so that it is enzymatically broken down into the saliva and enters the bloodstream. And, just as with cocaine, khat is chewed throughout the day to produce an energizing and psychostimulant effect enabling the user to keep working and not get hungry. Like amphetamine, ephedrine and cocaine, khat has effects on both the peripheral and central nervous systems. Khat is a sympathomimetic drug producing increases in respiration, body temperature, blood pressure, heart rate and mydriasis (dilation of the pupils). Its effects on the central nervous system include increased energy, euphoria, alertness, and a feeling of well being. Khat also produces insomnia and reduced appetite and, at high doses, may produce manic-like behavior psychosis and paranoia. Chewing khat is a widely accepted social behavior in the region around the Horn of Africa and evidence exists that it is a habit that has been practiced for thousands of years. So, what is responsible for the effects of khat? Interestingly, in 1961 Gordon Alles, the man who was responsible for inventing amphetamine, published a paper in which he said that chewing khat reminded him of taking amphetamine. So, perhaps the active molecule in khat is something akin to amphetamine? This turned out to be the case. The first alkaloid to be isolated from the plant that was suspected of being its active principle was cathine, isolated in 1930, a molecule whose chemical structure is closely related to that of amphetamine. 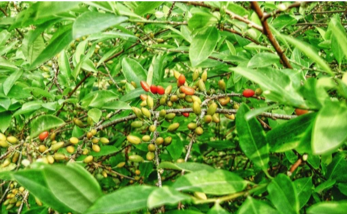 However, it ultimately proved to be the case that there wasn’t enough cathine in khat leaves to account for its effects and in 1975 a second alkaloid called cathinone was isolated. Cathinone was present in larger amounts and is now widely accepted as being the substance that is responsible for the psychostimulant effects produced by khat. Like cathine, cathinone is a phenethylamine structurally closely related to amphetamine and ephedrine, so it isn’t that surprising that it produces similar effects on the peripheral nervous system and the brain. Cathinone is amphetamine with a ketone group added in the 2-position (β-keto-amphetamine) (Fig 4). Until very recently khat was barely known outside the Horn of Africa. However, the situation began to change with the increased immigration of people from Yemen, Somalia and Ethiopia into communities in Europe and the United States. These immigrants brought their customs with them including the habit of chewing khat and, after a while, this began to attract the attention of the drug regulatory authorities in these countries. The question arose as to whether the use of khat should be legal or not? The use of psychostimulant drugs like amphetamine, ephedrine and cocaine has been restricted for quite a while in Western countries-both cocaine and amphetamine are listed as Schedule II drugs in the USA. Following the restrictions placed on amphetamine and methamphetamine, a further synthetic amphetamine derivative –MDMA/methylenedioxymethamphetamine, which has been classically referred to as Ecstasy, but now also commonly goes by the name “Molly”, became highly popular with users in the 1970s and 1980s until it also became restricted in 1985. It is now a Schedule I drug in the USA. The arrival of khat, however, suggested a solution to the problem obtaining psychostimulants by legal means. Why not use khat or khat-related chemicals instead– something that wasn’t illegal at the time? Although chewing khat leaves has never gained widespread popularity outside immigrant communities in Western countries, the use of cathinone-related psychostimulants has now become extremely popular throughout the world. Cathinone produces effects which are very similar to those produced by amphetamines and cocaine and so it is a reasonable choice for a drug that might replace them. We know that once a drug has been discovered, chemists and pharmacologists love to play around with its chemical structure to see what happens to its properties. This was the case following the original synthesis of amphetamine. Medicinal chemists had already produced chemical variations on the cathinone molecule in the early part of the 20th century when they were working to make new versions of amphetamine. In 1929, an article in the Bulletin de la Société Chimique de France, authored by Saem de Burnaga Sanchez, described the synthesis of “toluyl-ɑ-monomethylaminoethylcetone” or mephedrone. Methcathinone, the cathinone analogue of methamphetamine, was also synthesized in the early part of the 20th century and the synthesis of MDPV (methylenedioxypyrovalerone) was reported in 1967 (Fig 4). Sometime later (1996) methylone, the β-ketone derivative of Ecstasy was also synthesized. Although these substances are all powerful amphetamine-like psychostimulants, they did not reach the attention of the general public until some time later. According to one story the “rediscovery” of mephedrone as a recreational drug began in the early 2000s, when Israeli scientists, hired by a pesticide company to discover a chemical that could make greenflies more stupid and so easier prey for ladybirds, started to experiment with cathinones. They noted mephedrone’s psychoactive effects, and the drug found its way on to the recreational drug market, before Israeli authorities banned it 2007. But the cat was now out of the bag, and mephedrone started to show up in other countries such as the UK where it became a popular rave party drug. Originally the drug was known on the streets as “Plant Food”, a reference to its rediscovery by the Israeli agrochemical industry, but many other new names quickly followed. Following its introduction into the UK around 2007 sensational news about the dangers of “Meow-Meow” were plastered all over the tabloid press along with stories of drug induced self- mutilation and death. Although these reports were generally highly exaggerated drug-associated deaths certainly did occur, although in many cases the unfortunate victims had been consuming complex drug mixtures and so it was difficult to attribute the cause of the death to mephedrone in particular. By 2010, mephedrone had been detected and seized in 28 European countries. Of course, because the basic chemical structure of cathinone is rather simple, it was extremely easy for illegal drug chemists to produce further synthetic analogues of the molecule and, in the years that followed, when methedrone was detected by the authorities it was often found in combination with other synthetic cathinones including methylone, butylone, ethylcathinone, methoxymethcathinone, and fluoromethcathinone. Other drugs like caffeine, Valium and Ecstasy were also be often found to be mixed with street mephedrone. During the first decade of the 21st century synthetic cathinone analogues rapidly became the latest “designer drug” phenomenon, several hundred of them being available on the Internet at one time or another. In the United States they were most commonly sold under the names “Bath Salts” or ”Research Chemicals” and were often distributed in the form of crystals that had a passing resemblance to Epsom Salts. However, as the number of different street cathinones increased, their names did as well. 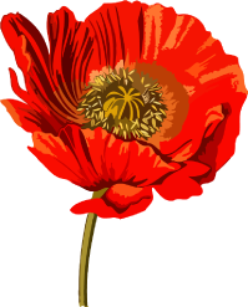 The names used sometimes implied that the products had uplifting or transcendental properties such as “Bliss” “Energy-1”, “Hurricane Charlie”, “White Rush”, “Bloom” , “Blue Magic”, “Blue Silk”, “Cloud”, “Mind Candy”, “Rocket Fuel”, “Sextasy”, and “Torpedo”, or that they were merely useful, including the aforementioned ‘‘Plant food’’, ‘‘Bath Salts’’, or ‘‘Research Chemicals’’ and more recently ‘‘Conquerors of Leeches’’, ‘‘Driver’s Charms’’, ‘‘Additives to Sand”, or even ‘‘Bidet Refreshers’’. Of course, designer drugs are nothing new, especially when dealing with a simple chemical structure like phenethylamine that is so easy to modify. Starting in the 1960s Alexander Shulgin created many new phenethylamine derivatives that had structures similar to mescaline. Rather than being psychostimulants, these molecules were hallucinogens. By making numerous small changes to their structures, Shulgin showed that one could generate a virtually infinite series of novel hallucinogenic substances. New synthetic cannabinoids based on the indole nucleus are another example of this phenomenon. Many of these synthetic cannabinoids have also been sold on the Internet under the general names of “Spice” or “K2”. Nevertheless, the extreme variety of cathinone derivatives that have been developed over the last decade probably represents the most extreme example of the designer drug phenomenon so far. When designer drugs are produced, a game of cat and mouse begins between the illegal drug manufacturers and the government authorities. 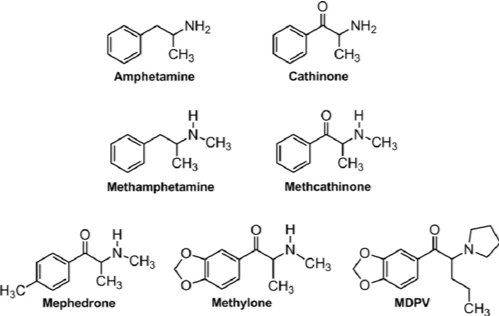 The government makes a substance illegal– for example some of the most widely used synthetic cathinones MDPV, methylone, and mephedrone were classified by the Drug Enforcement Administration (DEA) in the USA as schedule I compounds in 2011, and then underground drug chemists rapidly respond by tweaking the chemical structure, usually by a very small amount, so that they have a new drug to sell which produces more or less the same effects ,but is no longer covered by the law. Sometimes the authorities can ban a whole group of substances at the same time, but this has been difficult to do with synthetic cathinones. Although all these substances produce somewhat similar effects, they are not all the same and have differences in their mechanisms of action. It is worth noting that because these new drugs are made in underground laboratories rather than academic or pharmaceutical institutions, there is very little- if any– testing done as to their properties prior to them hitting the streets, meaning that using them is a very risky business. How do synthetic cathinones produce their psychostimulant effects? Their major targets are clear, these being the synapses that utilize the biogenic amine neurotransmitters, norepinephrine, dopamine and serotonin (5-hydroxytryptamine). Nerve cells that use these neurotransmitters in the brain are found in specific nuclei in the midbrain and medulla. Although the number of neurons that elaborate biogenic amine neurotransmitters are relatively few, they do exert many important influences because the nerve fibers they produce ramify extensively to many parts of the brain and spinal cord. Moreover, norepinephrine is also the primary neurotransmitter of the sympathetic division of the autonomic nervous system that directly influences all of the viscera, including the cardiovascular system. The biogenic amine neurotransmitters are all stored in small vesicles within nerve terminals. When a nerve is excited by an action potential, one or more of these packages is released into the synapse where the neurotransmitter can activate its receptors. Once their job is done some of the neurotransmitter molecules are destroyed by metabolism but the majority are retaken up into the nerve terminal, repackaged into synaptic vesicles and reused. The reuptake of biogenic amine neurotransmitters into nerve terminals is achieved through the activity of special neurotransmitter uptake proteins designated DAT (dopamine), NET (norepinephrine) and SERT (serotonin). These proteins can be the site of action for drugs. Consider what would happen if a drug was to inhibit their activity. Now, once the transmitter was released, it would no longer be retaken up into the terminal and so the concentration of transmitter at the synapse would rise, increasing its effectiveness as a neurotransmitter. As it turns out blocking reuptake of biogenic amine neurotransmitters is a very widely used mechanism for drug action. Drugs that block the reuptake of serotonin and norepinephrine are widely used antidepressant drugs. However, once drugs also inhibit dopamine uptake their characteristics change and they become psychostimulants. Cocaine is a powerful inhibitor of dopamine, norepinephrine and serotonin uptake, increasing the synaptic concentrations of all three biogenic amines in the brain and the sympathetic nervous system. However, there is another way that psychostimulant drugs can produce similar effects. Amphetamine, for example, is actually a substrate for biogenic amine uptake proteins. The uptake protein “thinks” it is really dopamine, norepinephrine or serotonin and amphetamine is transported into the nerve terminal. Once inside the nerve terminal amphetamine also blocks the uptake of the biogenic amine into the synaptic vesicles that normally store it and also inhibits its metabolism. Consequently a drug like amphetamine causes the nerve terminal to become filled up with a very high concentration of unpackaged biogenic amine which now leaves the terminal by going through the uptake protein in reverse. The result once again is an increased synaptic concentration of biogenic amine and increased synaptic transmission. Different amphetamines vary somewhat as to which biogenic uptake systems they favor. Thus, amphetamine is about 100 times more potent in releasing DA than serotonin, whereas MDMA (Ecstasy) is more potent in stimulating the release of serotonin than DA. Because of these different tendencies psychostimulant drugs all produce somewhat different effects. Amphetamine is the prototypical psychostimulant, causing agitation, insomnia, and loss of appetite as well as “amphetamine psychosis”, hallucinations and delusions at higher concentrations. Ecstasy combines a psychostimulant effect with changes in consciousness, leading to euphoria and an intense feeling of empathy. So, how do the various synthetic cathinones act? The answer is that some work more like amphetamine and some work more like cocaine. Molecules such as mephedrone and methylone, act as reuptake transporter substrates being transported by DAT, NET and SERT. On the other hand, MDPV is not a transporter substrate, most likely because the drug molecule is too large to fit through the transporter, but acts as a potent blocker at DAT and NET with minimal activity at SERT. As medicinal chemists sift through the properties of an ever increasing number of synthetic cathinones, patterns are starting to appear. Structural features responsible for greater interactions with one reuptake protein rather than another are starting to translate into subtly different psychological effects produced by each particular drug. Soon it may well be possible to produce structures with specific features that favor a particular type of drug experience and so a user can just “dial in” the kind of effect he desires and the appropriate drug will be produced. Then the age of “Designer Drugs” will really be with us. Posted on February 28, 2018 March 31, 2018 Leave a comment on A Game of Khat and Mouse….